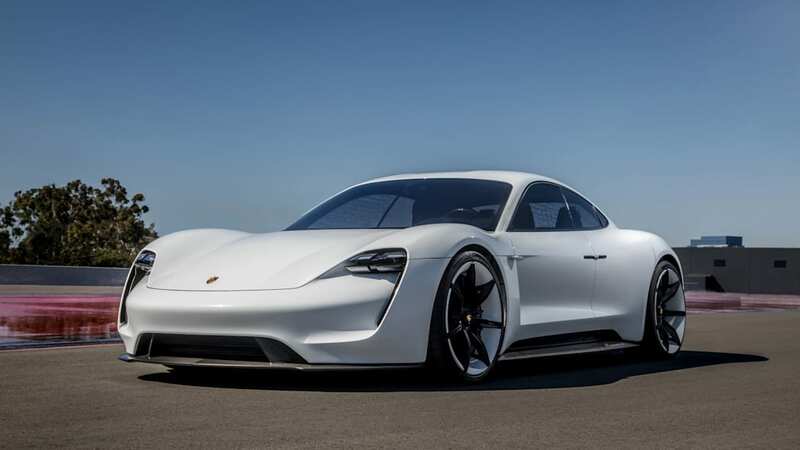 Stefan Weckbach, the head of electric vehicles at Porsche, devoted an interview to filling in more of the Mission E picture. The guiding principle behind the battery-powered four-door sports sedan with room for four people is to "deliver on the promises customers are familiar with from our conventionally powered vehicles." 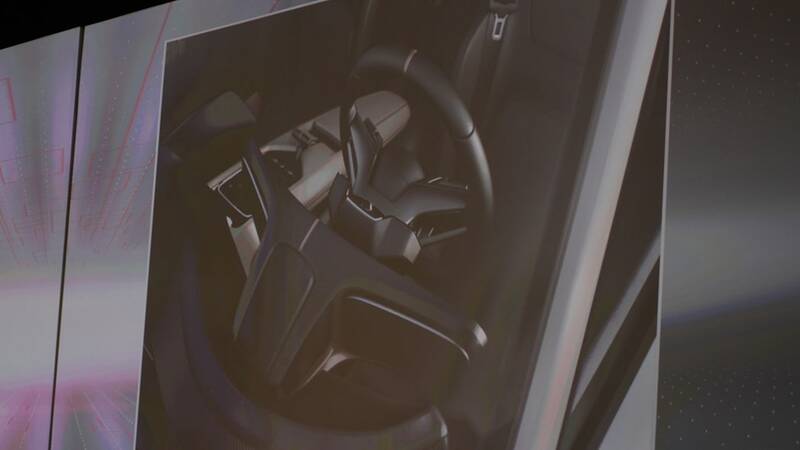 The company's hired more than 1,000 employees to work on combining future powertrains with modern detailing, so the Mission E buyer can expect thought-out details such as recesses built into the battery compartment and the floor to provide more legroom for backseat passengers. 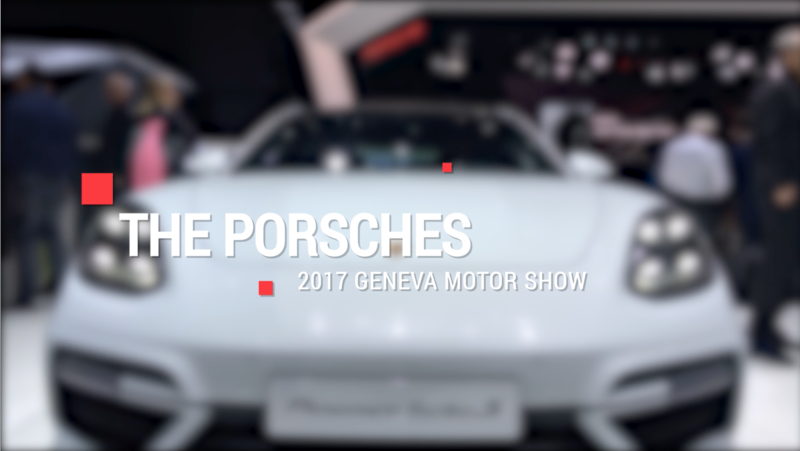 Adherence to Porsche brand values also means what you see is what you get. 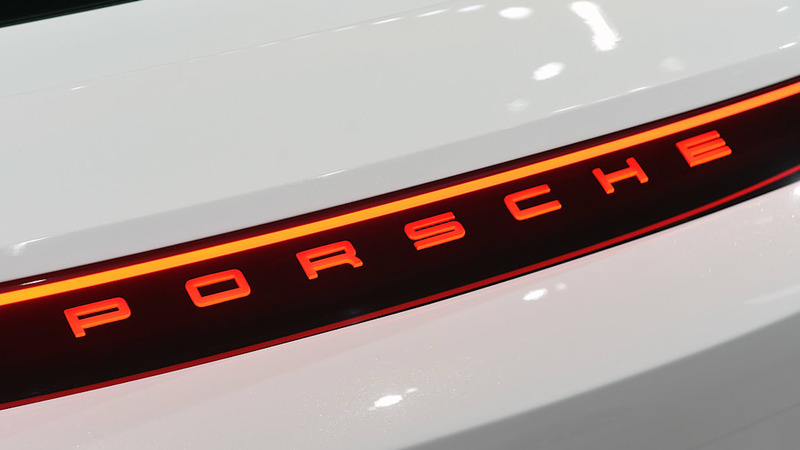 Asked whether Porsche might create a simulated ICE sound to satisfy customers who miss the timbre of a flat-six or V-8, Weckbach said, "Porsche is unlikely to lower itself to gimmicks of this kind or use sound effects." Any sound the Mission E makes will work to enhance the "emotional factor" of the car, and incorporate "a clear reference to the technology." When the interviewer asked Weckbach a question that invited a punch thrown Tesla's way, Weckbach didn't hold back. 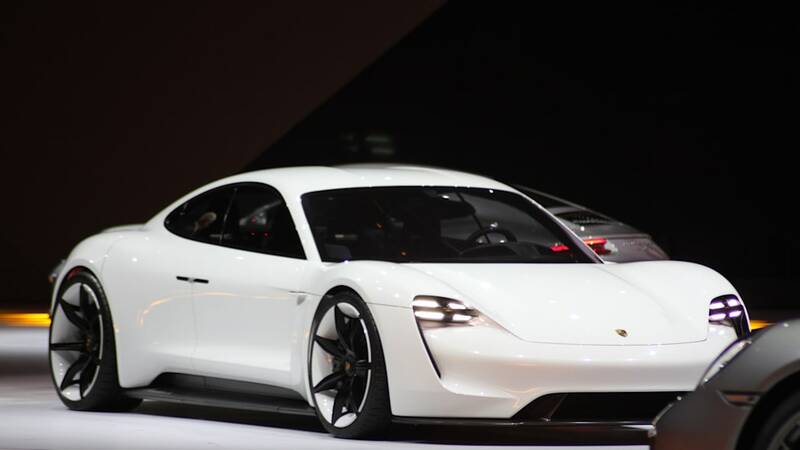 Referring to some Tesla products being able to run from 0 to 62 miles per hour in under 3 seconds, the Porsche exec said, "But only twice — the third attempt will fail. The system is throttled." 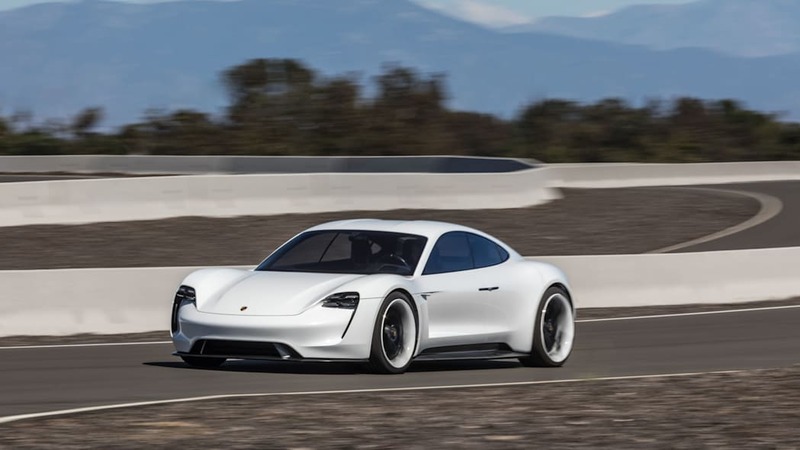 He added that "Porsche drivers won't need to worry about that" because the Mission E's being developed to deliver "reproducible performance and a top speed which can be maintained for long periods." We're not sure about the claim of throttled Tesla acceleration, though. 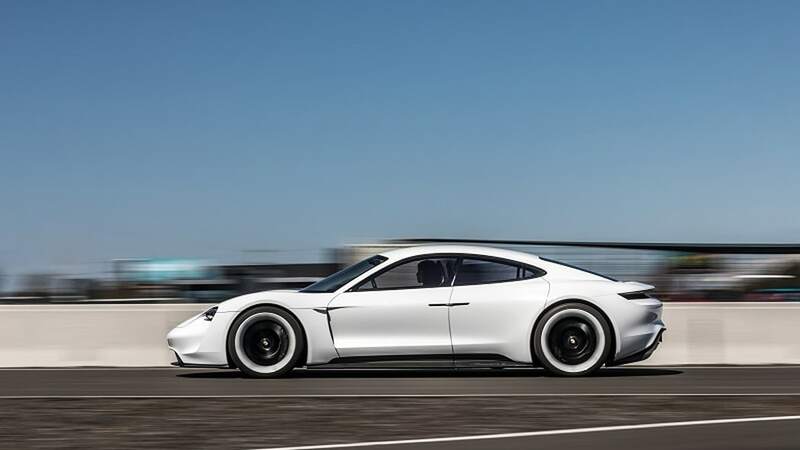 At one time Tesla did restrict the number of consecutive and total Launch Control deployments, as well as "full-pedal acceleration," in order to save wear and tear on the battery and powertrain. However, Tesla erased the software restriction late last year after voluminous customer complaints. 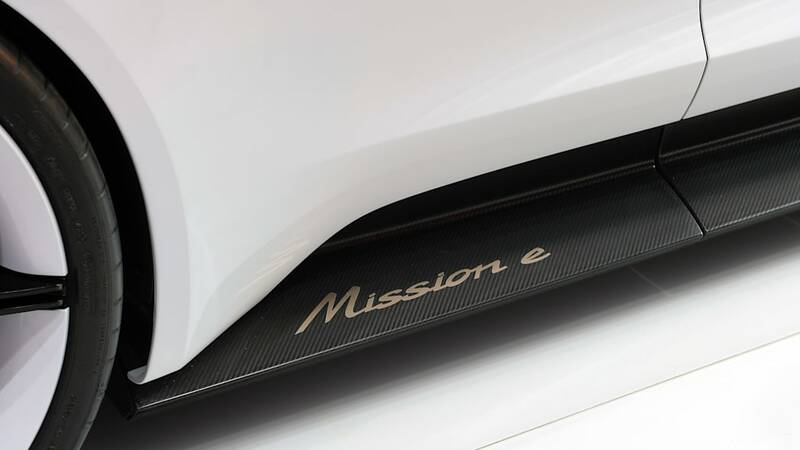 We do know Mission E mission control has a target on the Tesla Model S, because we've seen Porsche engineers testing alongside Elon Musk's vehicular children, and Porsche has admitted that it wants the Mission E to conquer Model S buyers specifically. The mantra here is "quick to drive, quick to charge." The 800-volt electrical architecture means a Mission E owner on a road trip can take a 20-minute coffee break and recharge 250 miles of driving range. We're not sure how much that owner and his guests can pack, however. The front of the Mission E will contain "Lots of high-tech gear — the electric motor, the power electronics, the cooling system and other high-voltage components." Weckbach said even with that, there are "still 100 liters of space for luggage." We'll hope he's referring to only the front compartment; a Porsche 911 C4 can hold 125 liters in its frunk. 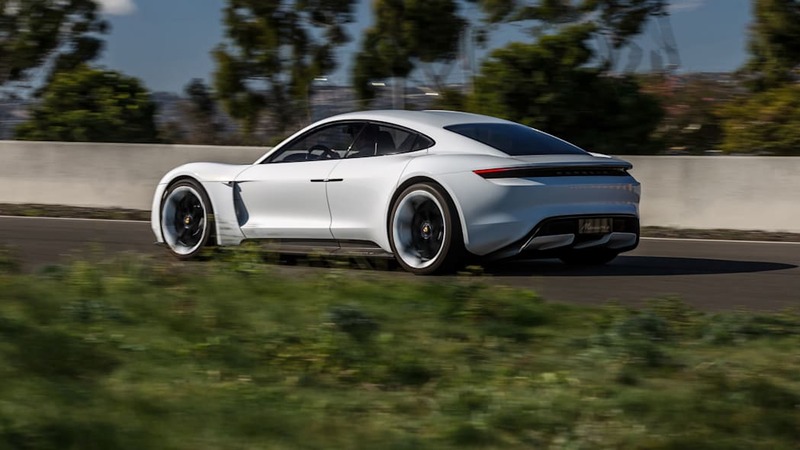 To make that quick-charging scenario possible, Porsche needs a huge amount of charging infrastructure built in the two years before the Mission E arrives. The Volkswagen Group is working with other OEMs in Europe on a charging network. 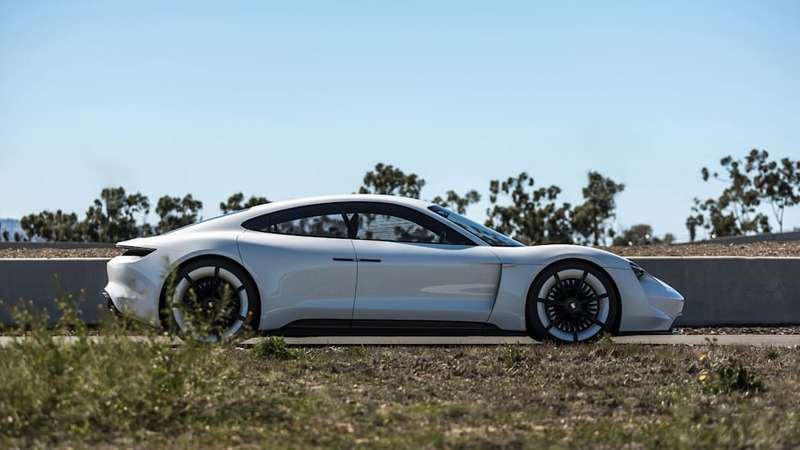 In the U.S., in addition to placing charging ports at all of Porsche's 189 dealers, plus the Porsche Experience Centers in Atlanta and Los Angeles, the VW-funded Electrify America plans to build nearly 5,000 chargers nationwide. 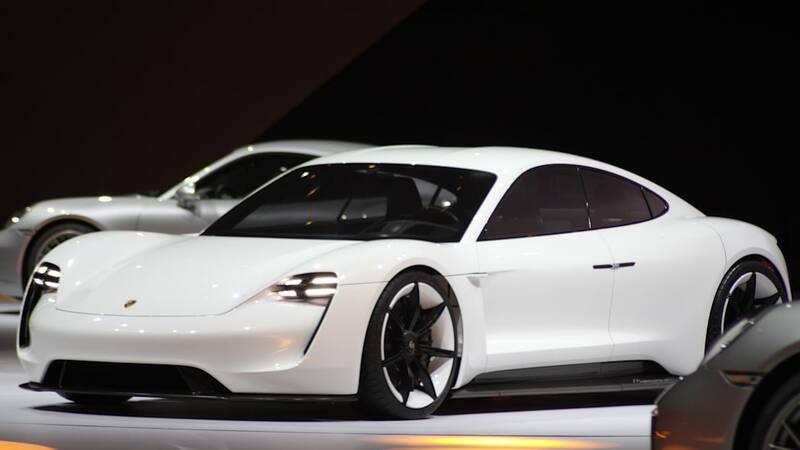 And because 80 percent of EV charging happens at home, it's only a matter of time before Porsche starts showing off a range of domestic solutions geared to carmaker's range of EV and hybrid options. 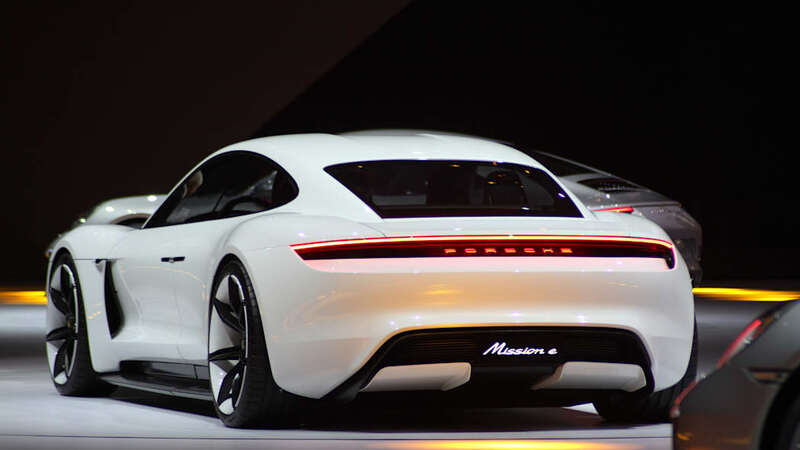 The Porsche Mission E concept, showed off at the 2015 Frankfurt Motor Show, rear three-quarter view. 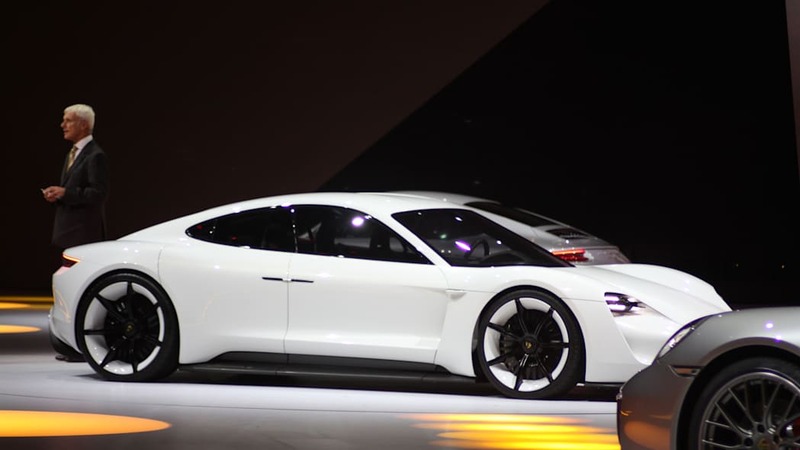 The Porsche Mission E concept, showed off at the 2015 Frankfurt Motor Show, side view. 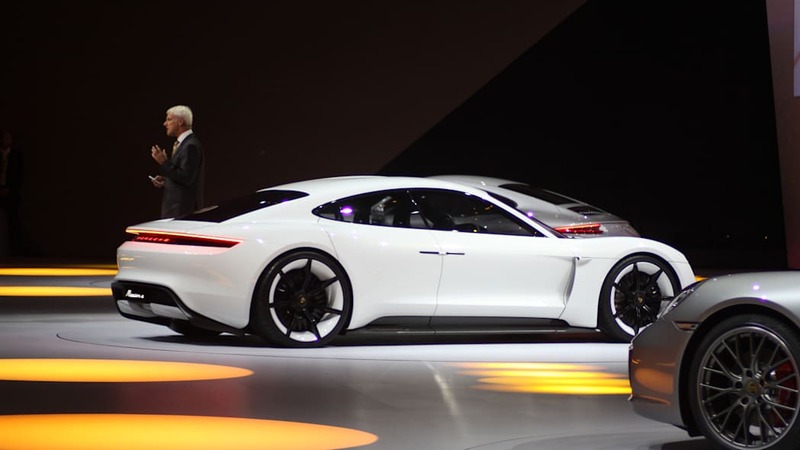 The Porsche Mission E concept, showed off at the 2015 Frankfurt Motor Show, interior. 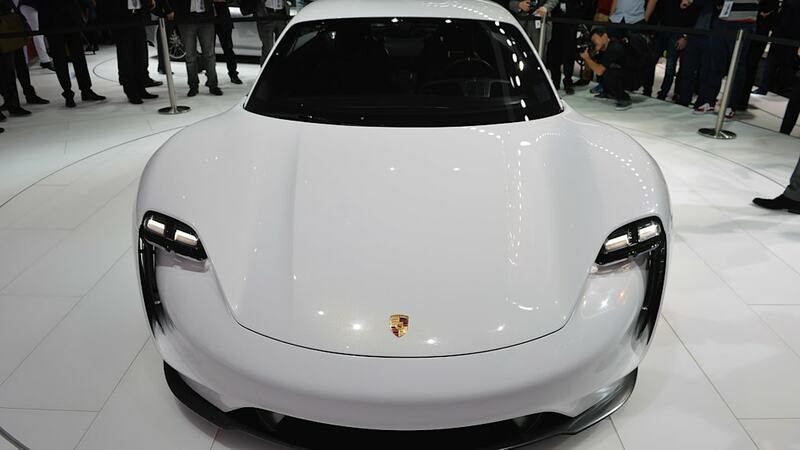 The Porsche Mission E concept, showed off at the 2015 Frankfurt Motor Show, front view. 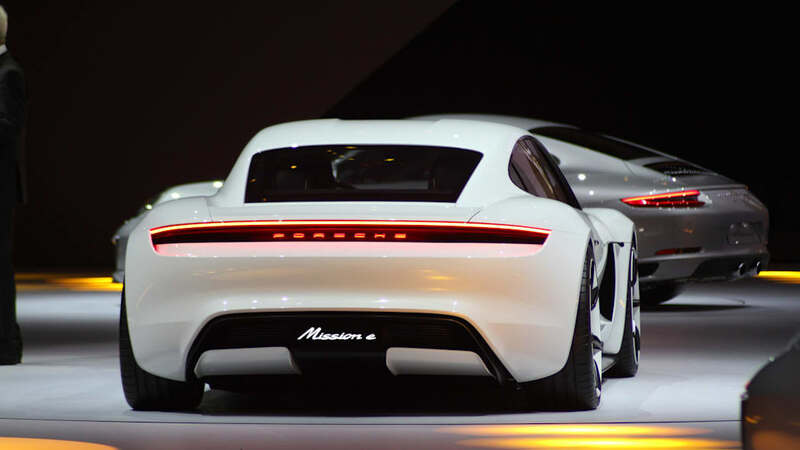 The Porsche Mission E concept, showed off at the 2015 Frankfurt Motor Show, rear view. 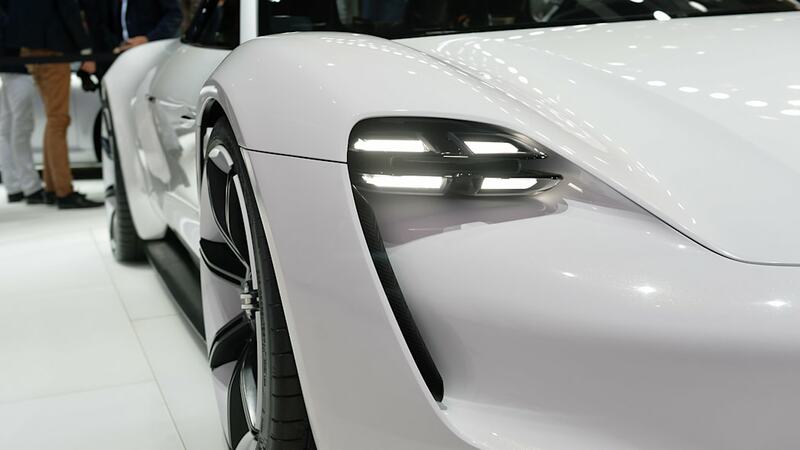 The Porsche Mission E concept, showed off at the 2015 Frankfurt Motor Show, headlight. 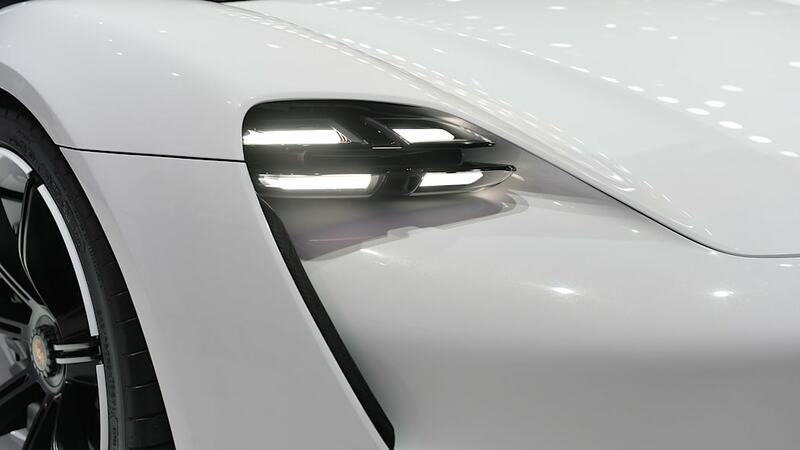 The Porsche Mission E concept, showed off at the 2015 Frankfurt Motor Show, headlight detail. 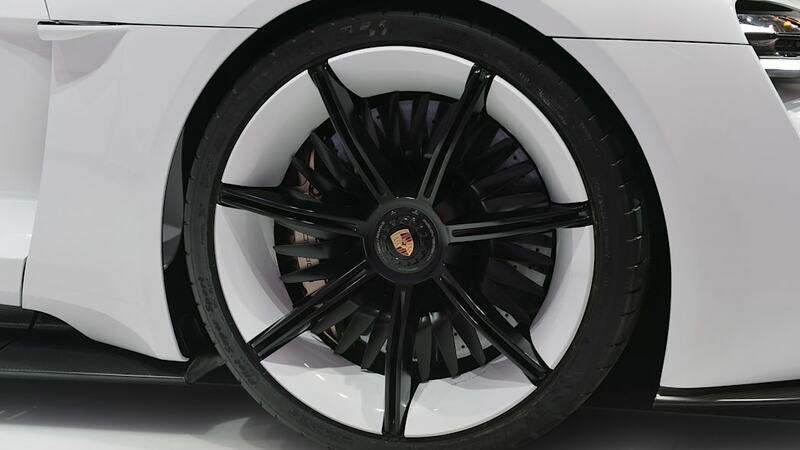 The Porsche Mission E concept, showed off at the 2015 Frankfurt Motor Show, wheel. 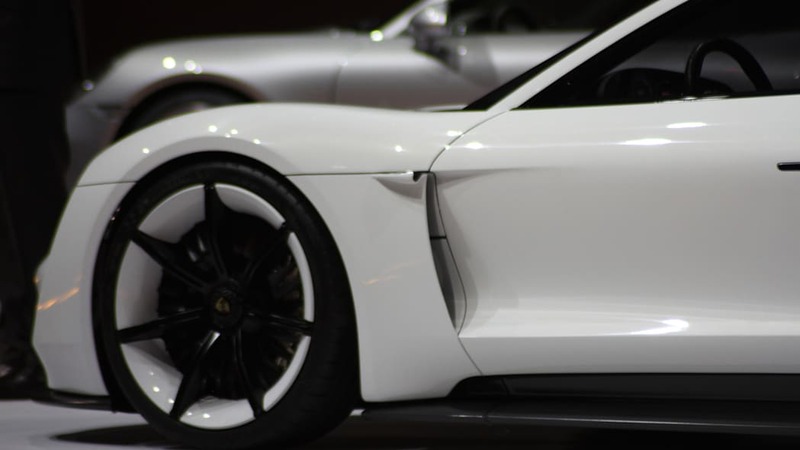 The Porsche Mission E concept, showed off at the 2015 Frankfurt Motor Show, carbon fiber running boards. 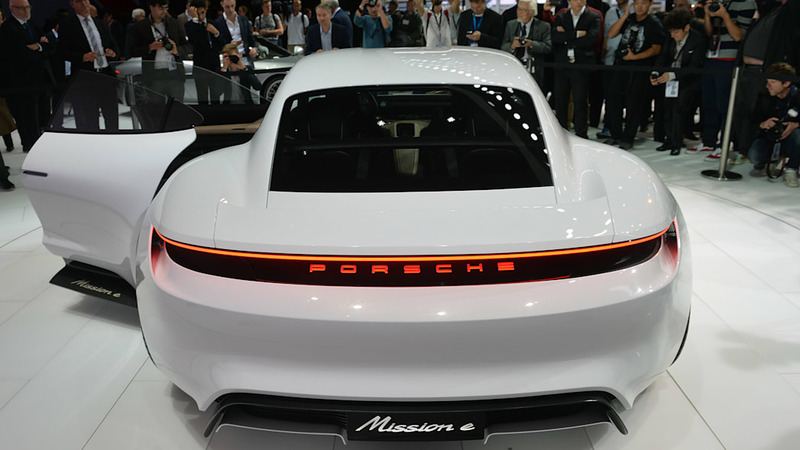 The Porsche Mission E concept, showed off at the 2015 Frankfurt Motor Show, detail of the rear bumper. 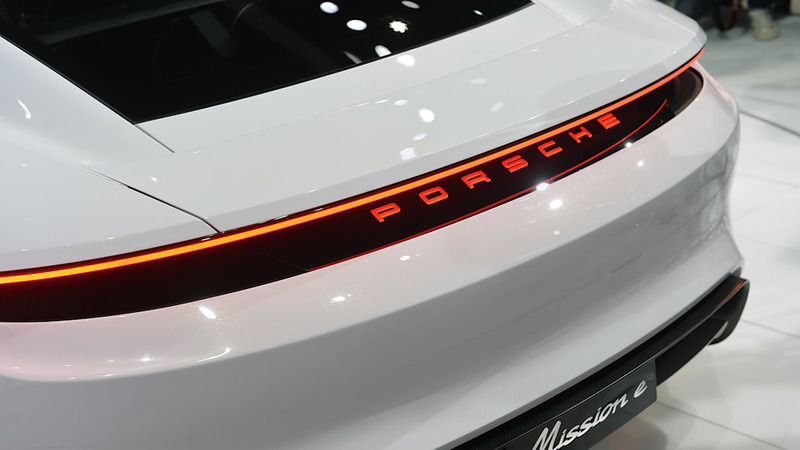 The Porsche Mission E concept, showed off at the 2015 Frankfurt Motor Show, taillight detail. 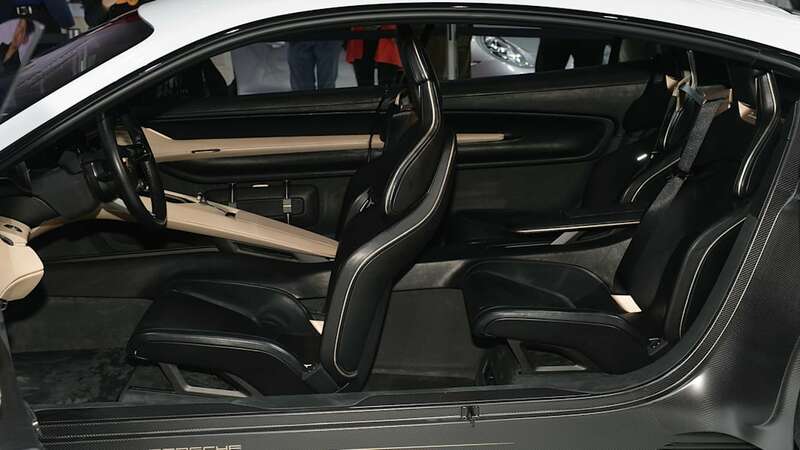 The Porsche Mission E concept, showed off at the 2015 Frankfurt Motor Show, closer view of the interior. 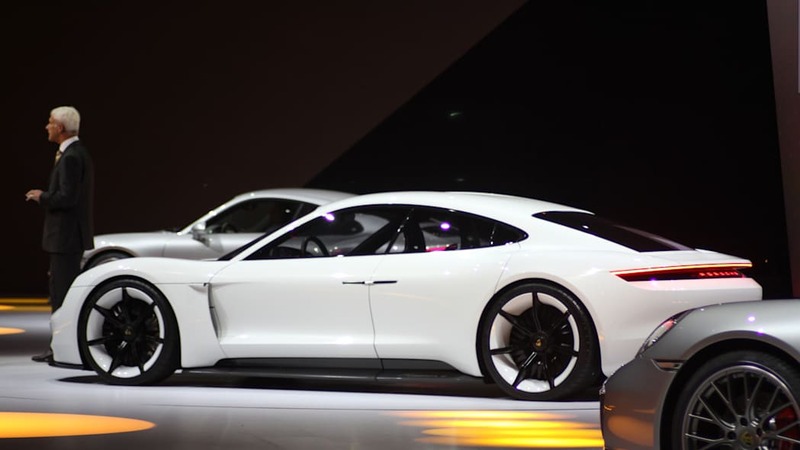 The Porsche Mission E concept, showed off at the 2015 Frankfurt Motor Show, driver's compartment. 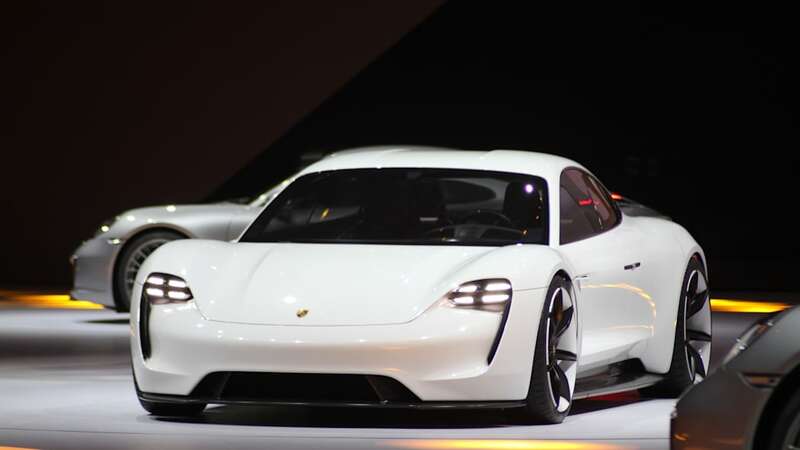 The electric Porsche Mission E concept, showed off at the Volkswagen Group Night ahead of the 2015 Frankfurt Motor Show, front three-quarter view. 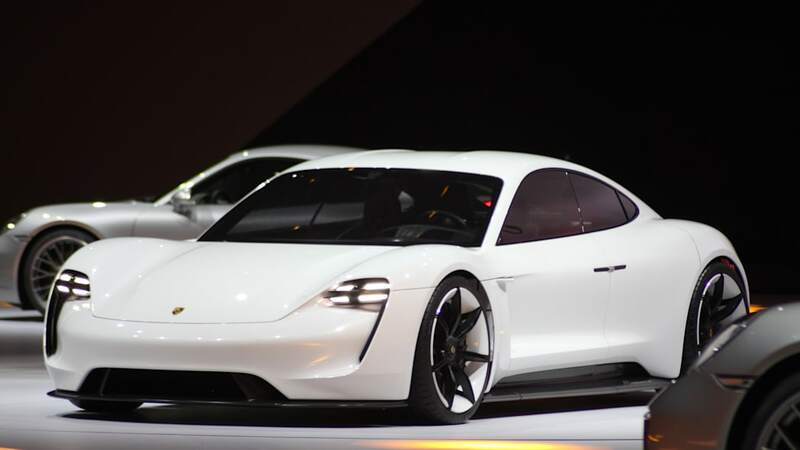 The electric Porsche Mission E concept, showed off at the Volkswagen Group Night ahead of the 2015 Frankfurt Motor Show, near front three-quarter view. 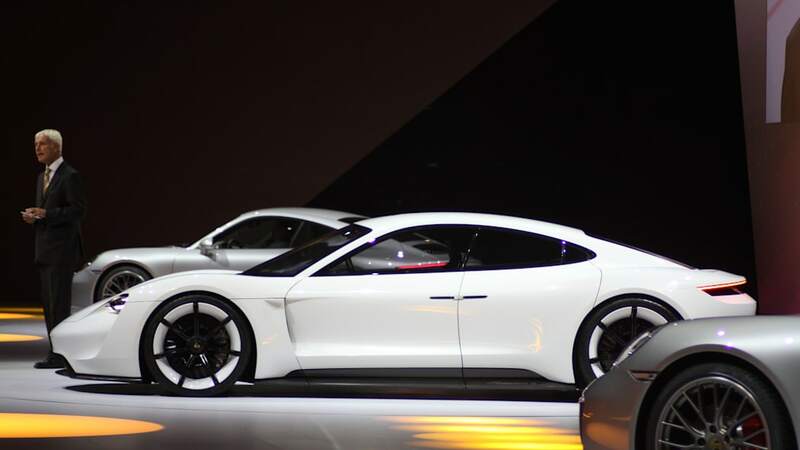 The electric Porsche Mission E concept, showed off at the Volkswagen Group Night ahead of the 2015 Frankfurt Motor Show, front view. 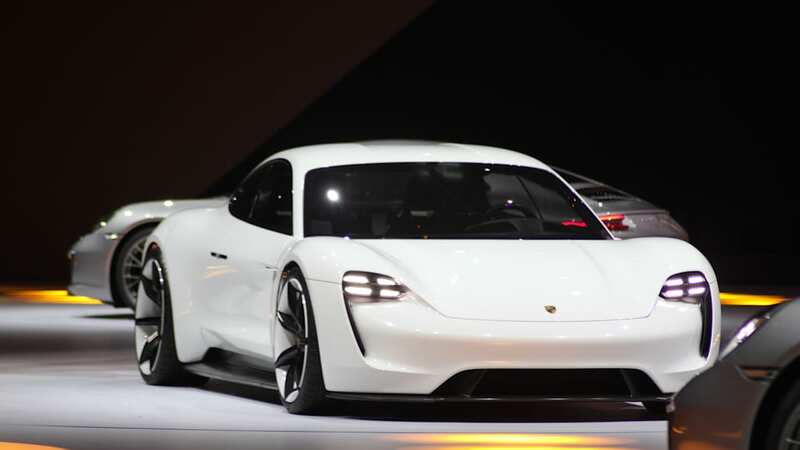 The electric Porsche Mission E concept, showed off at the Volkswagen Group Night ahead of the 2015 Frankfurt Motor Show, front three quarter. 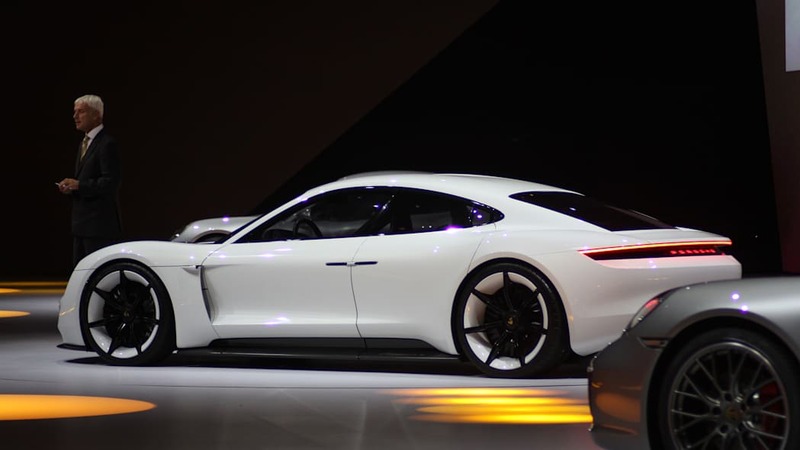 The electric Porsche Mission E concept, showed off at the Volkswagen Group Night ahead of the 2015 Frankfurt Motor Show, side view. 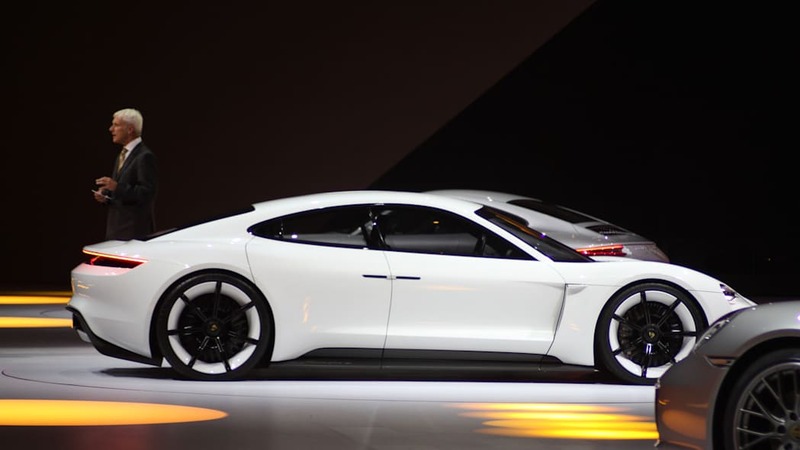 The electric Porsche Mission E concept, showed off at the Volkswagen Group Night ahead of the 2015 Frankfurt Motor Show, passenger's side view. 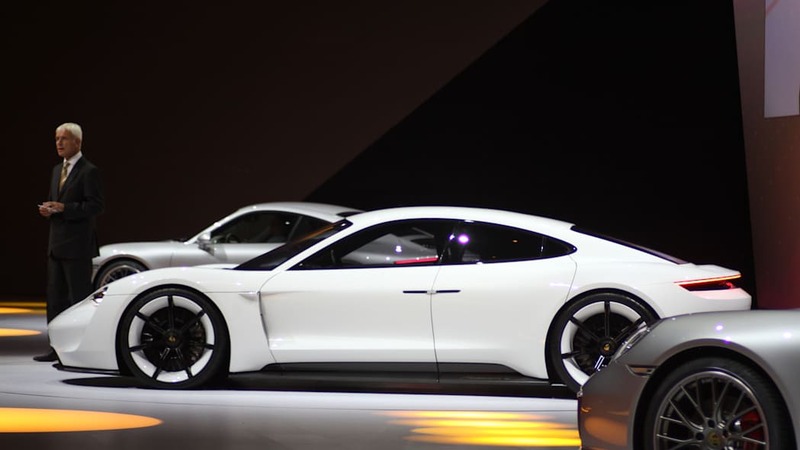 The electric Porsche Mission E concept, showed off at the Volkswagen Group Night ahead of the 2015 Frankfurt Motor Show, rear three-quarter. 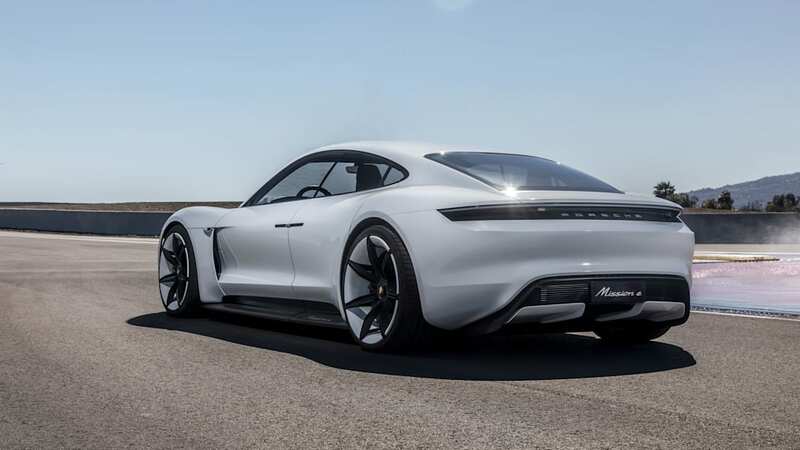 The electric Porsche Mission E concept, showed off at the Volkswagen Group Night ahead of the 2015 Frankfurt Motor Show, rear three-quarter view. 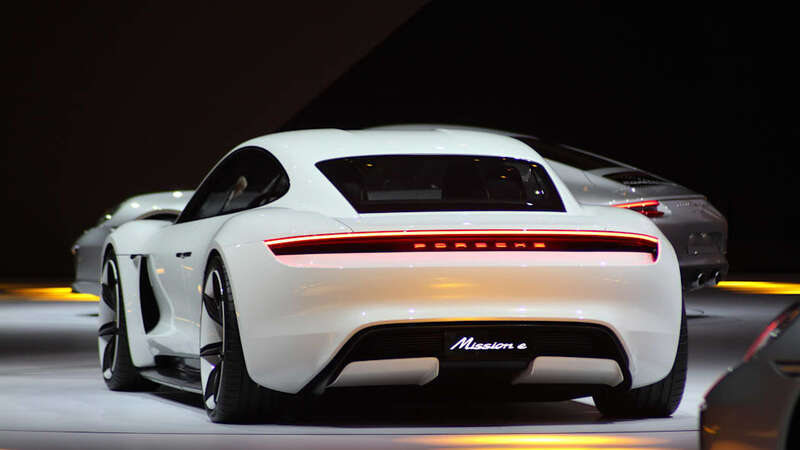 The electric Porsche Mission E concept, showed off at the Volkswagen Group Night ahead of the 2015 Frankfurt Motor Show, rear view. 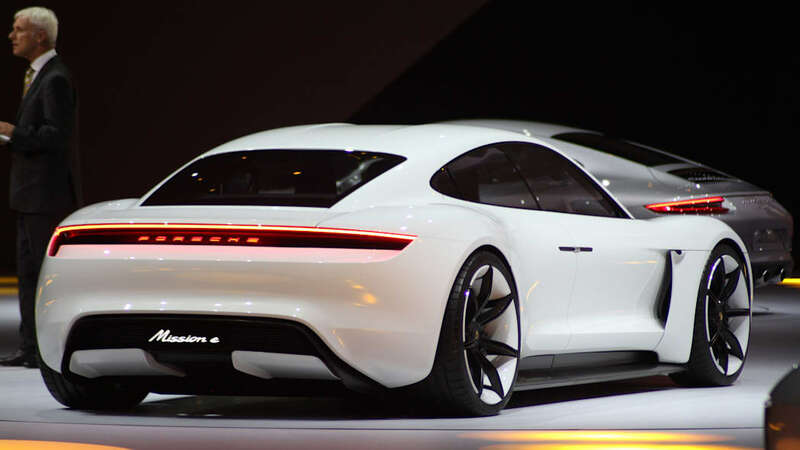 The electric Porsche Mission E concept, showed off at the Volkswagen Group Night ahead of the 2015 Frankfurt Motor Show, rear. 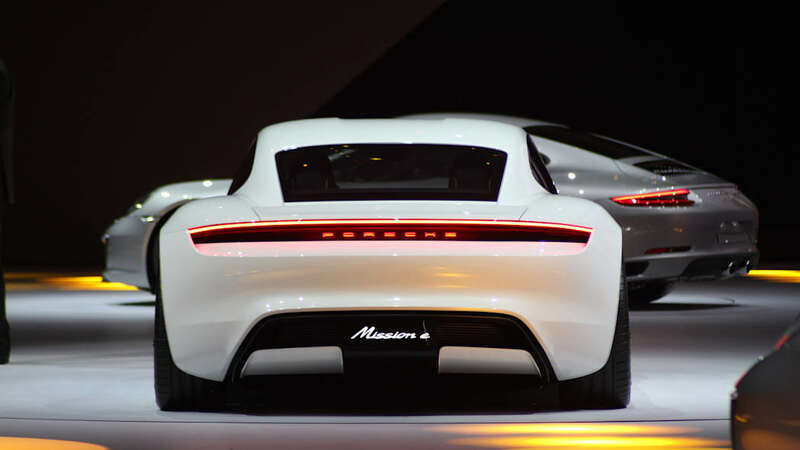 The electric Porsche Mission E concept, showed off at the Volkswagen Group Night ahead of the 2015 Frankfurt Motor Show, long view of the rear. 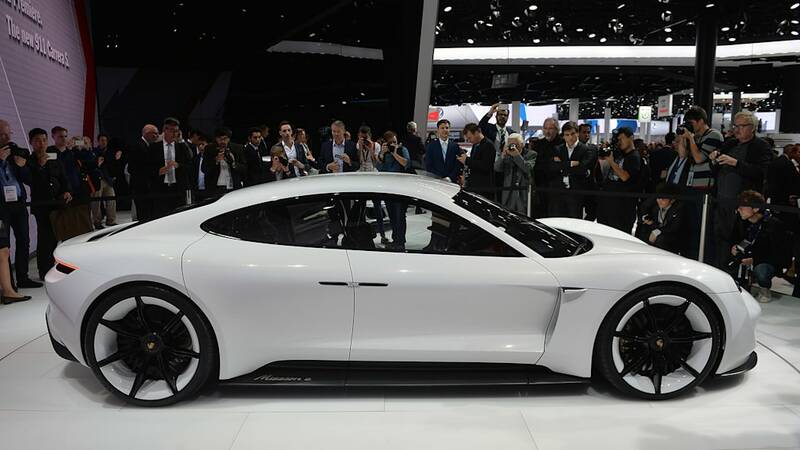 The electric Porsche Mission E concept, showed off at the Volkswagen Group Night ahead of the 2015 Frankfurt Motor Show, rear three-quarter, passenger's side. 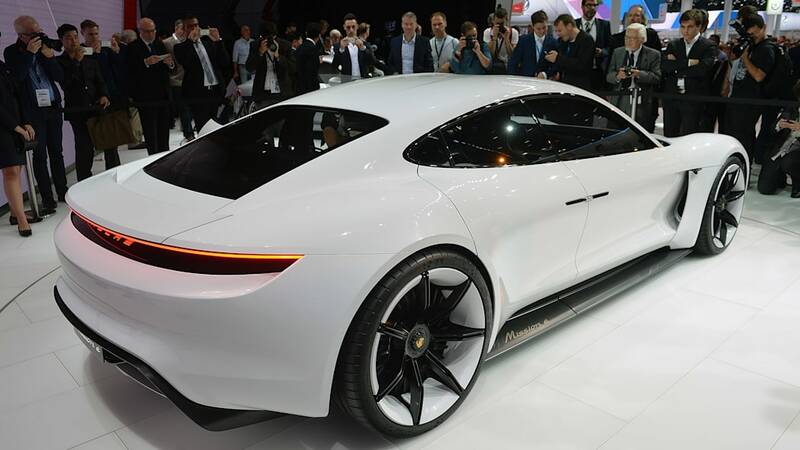 The electric Porsche Mission E concept, showed off at the Volkswagen Group Night ahead of the 2015 Frankfurt Motor Show, rear three-quarter view, passenger's side. 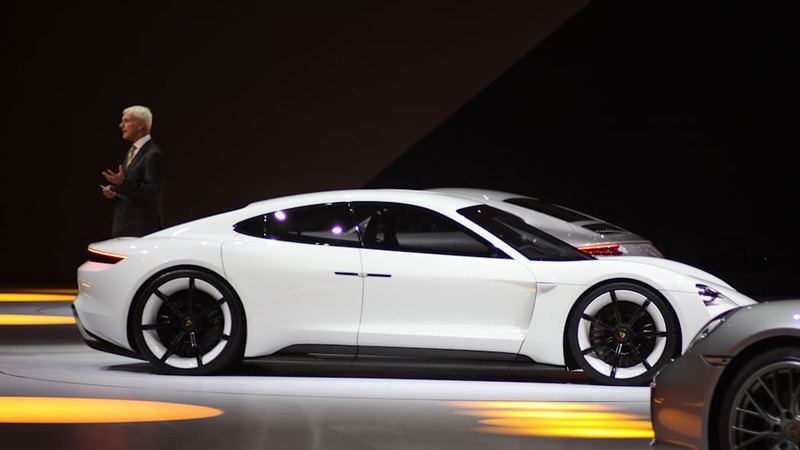 The electric Porsche Mission E concept, showed off at the Volkswagen Group Night ahead of the 2015 Frankfurt Motor Show, driver's side view. 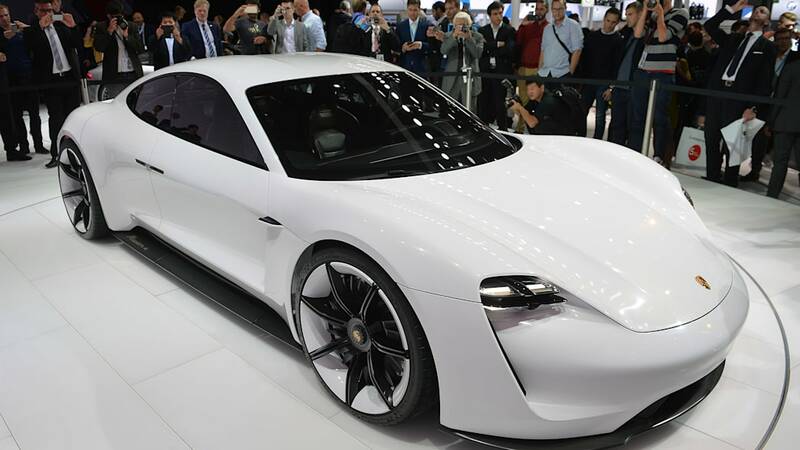 The electric Porsche Mission E concept, showed off at the Volkswagen Group Night ahead of the 2015 Frankfurt Motor Show, long view of the driver's side. 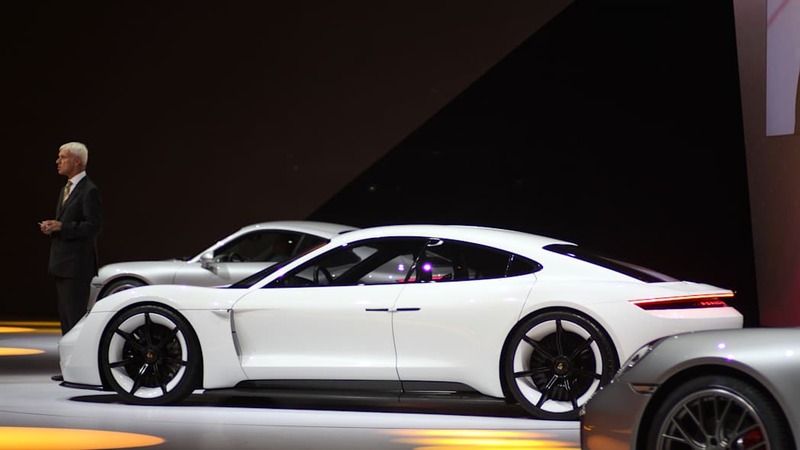 The electric Porsche Mission E concept, showed off at the Volkswagen Group Night ahead of the 2015 Frankfurt Motor Show, side. 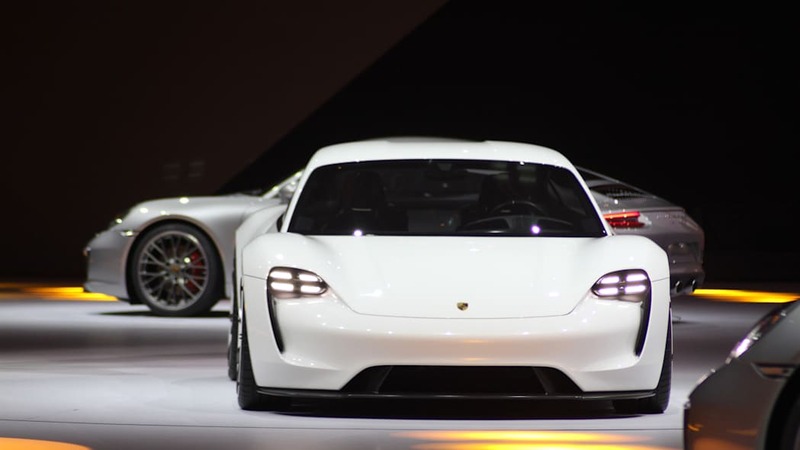 The electric Porsche Mission E concept, showed off at the Volkswagen Group Night ahead of the 2015 Frankfurt Motor Show, front vent and side camera detail. 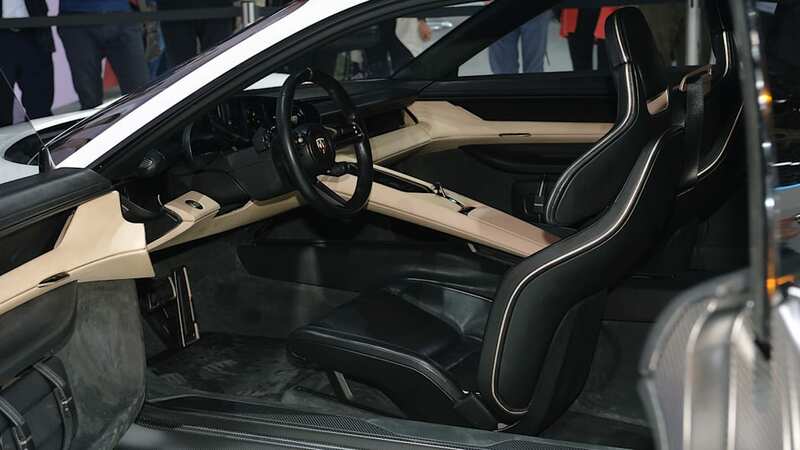 The electric Porsche Mission E concept, showed off at the Volkswagen Group Night ahead of the 2015 Frankfurt Motor Show, presentation slide of the interior. 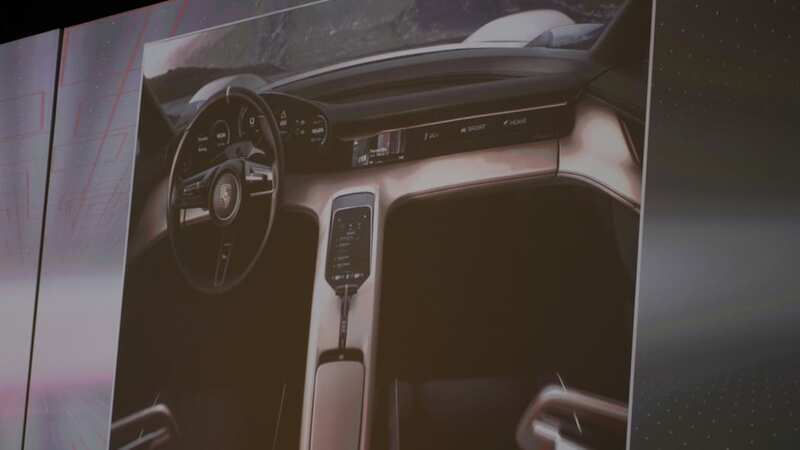 The electric Porsche Mission E concept, showed off at the Volkswagen Group Night ahead of the 2015 Frankfurt Motor Show, presentation slide of the instrument panel.